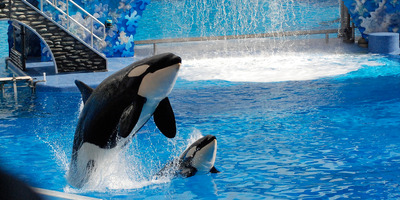 Follow SeaWorld’s stock price in real-time here. Attendance rose 4.8% for the second quarter across all parks, the company said. That helped it beat Wall Street’s estimates to post adjusted earnings of $US0.41 per share where analysts had expected $US0.28. It also beat on revenue, bringing in $US391.92 million where analysts had expected $US369 million. To keep the wave rolling, SeaWorld said it’s also planning a similar beer fest later this quarter at its San Antonio location and both Busch Gardens parks in Virginia and Tampa Bay. “We are particularly pleased with our second quarter attendance growth, which more than offset the negative impacts from unfavorable weather across several of our markets in the quarter, and the earlier timing of the Easter holiday in 2018, which benefitted the first quarter at the expense of the second quarter,” Reilly said in a press release. SeaWorld has born the brunt of activism in recent years following the 2013 release of Blackfish, a documentary focused on the parks’ killer whale program. In 2016, it said it would phase out breeding of killer whales – and shows involving them entirely – following the death of a trainer. 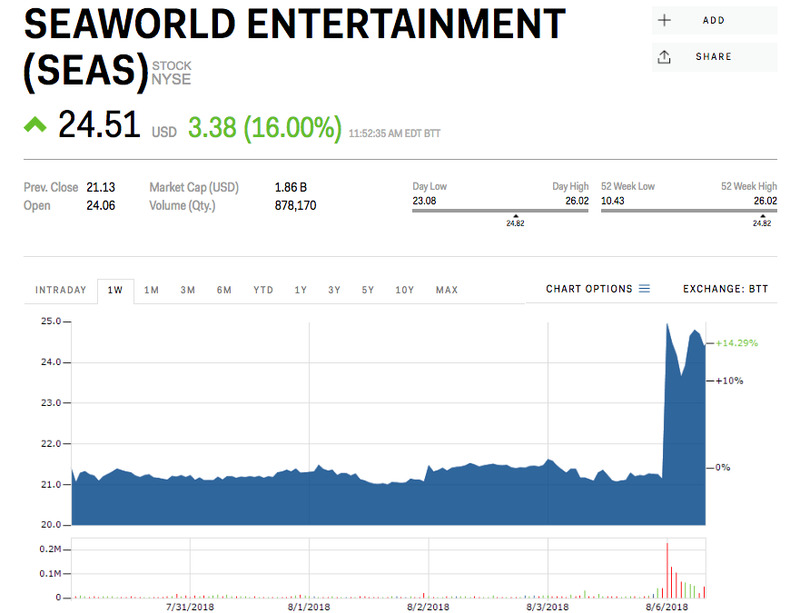 The company also disclosed a $US4 million settlement with federal regulators, who alleged SeaWorld didn’t adequately warn investors of the impact of Blackfish. 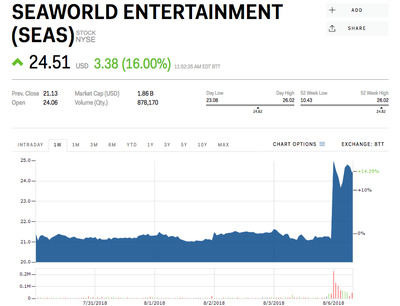 Shares of SeaWorld are now up more than 77% since the beginning of the year, but still well off their highs of nearly $US40 in 2014 shortly after Blackstone sold its controlling stake the chain in a public offering.